I believe in fresh starts, new chapters, and clean slates. I believe January 1st is a great opportunity to once again put things in perspective and make both practical and totally unrealistic goals. Life can be harsh enough without us passing up an invitation to dream. Dream big and dream often because on occasion we surprise ourselves by slowly walking in the direction of those dreams and sometimes unbeknownst to us actually stepping onto the exact path that will make those dreams come true. You see, sometimes when we let ourselves dream, really let ourselves believe we can accomplish that dream, something crazy and unexpected happens. We do it! And the reward is just as sweet as the journey my friends. So don’t frown on your past mistakes or failures. Don’t beat yourself up for the unfinished projects or long forgotten fantasies. Don’t mock those who make their resolutions year after year, because resolutions are hopes, dreams, and goals and who’s to say January 1 isn’t as good as June 6 or September 21 for a resolution. There is no designated date or time to dream. It’s an unscheduled event which requires no invitation or appointment. My resolve this year is to finally face my fears and hop in one of these kayaks. They’ve been mocking me for years as I walk past them. They pose, show their true colors and allow the light to hit them just so…inviting me to dream, daring me to hope, and strengthening my resolve that I will climb into their bright shells and drift closer to my goal. P.S. If I haven’t posted in a few weeks, send out a search party. What do you dare to resolve, hope or dream? You are too kind to me! Thank you so much! This is a marvellous post. Tremendously uplifting, like food for the (wee discouraged) soul. Thank you. 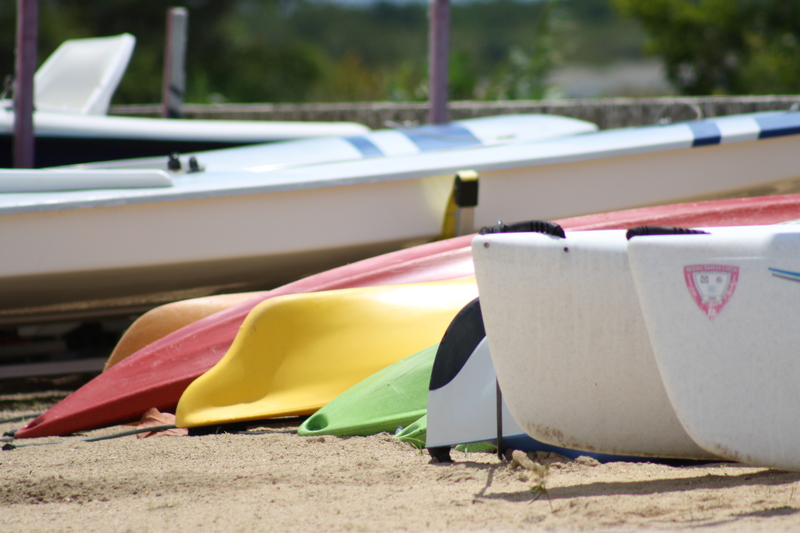 Indulge in those kayaks as you indulge into your dreams. And this is a very good reminder: “the first step should be planted on the path leading to your goals”. It’s great when you’re unaware you’re taking the first step onto a path of promises, and if you can stay on that path the reward will be so sweet. Thank you for taking the time to read my thoughts. First your funny, kayaking is a blast if you do it in a very large pool! Second you are absolutely correct in regards to dreams. The bigger we dream the more we actually find that we achieve. Thanks for the reminder!